As a bilingual family dentist office in Nashville, we love to care for our community. From routine dental exams, x-rays, cleanings, fillings, and teeth whitening to more advanced procedures such as braces, crowns, dentures, and other cosmetic and restorative dental treatment, we provide comprehensive care that addresses your dental needs. Found in the heart of South Nashville, Cornerstone Family Dentistry is conveniently located near the Harding Place and Nolensville Pike intersection. 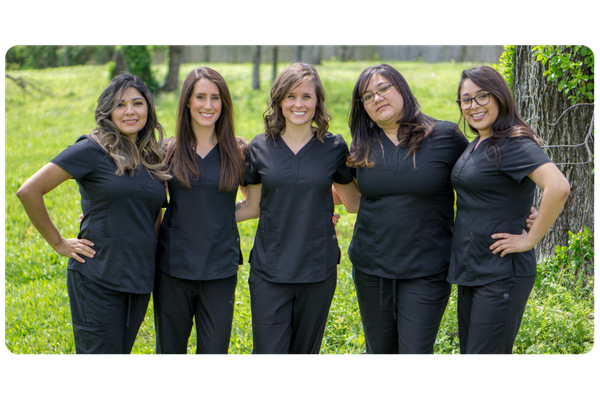 We love serving our community and we are always accepting new patients. We would enjoy the opportunity to serve you and assist with any dental needs you may have. It is not only our mission to improve the oral health of the Nashville community, but to bring smiles around the world. We are also very active in the refugee and immigrant community locally and support various dental non-profits overseas. We believe a healthy smile can bring physical, spiritual, and social transformation to people and the communities where they live.